Breed any purebred dog, designer breed, or the mix of your dreams. Train your dog for competition from conformation to agility and beyond. Compete for the highest titles and awards. Become the best. Complete your menagerie with a variety of collectibles. Dog Dayzz is a free, multiplayer, dog game with a challenge for everyone. You choose the breed, you create the line and compete for the top! Dog Dayzz is not just any other dog sim. From a range of real illnesses that dogs catch to pampering your pooch at the groomers, Dog Dayzz has a lovely community with kind, helpful members; and lovely, welcoming moderators. The breed possibilities are endless; from pure bred dogs to crossbred pooches! Once you've got your dog, vaccinate it, play, feed, and walk it. Then enter it in competitions and raise your pooch to the top of the charts! Show, train, and breed your dog on this wonderful game. 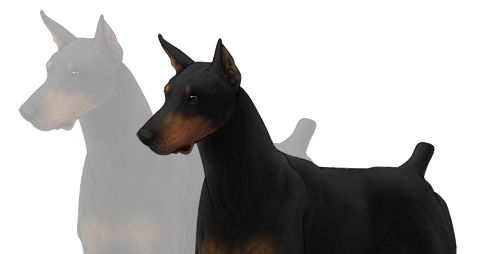 Dogdayzz is one of the easiest games to figure out and even if you need help just ask a mod. They have any breed you can think of and let you breed mixed breeds. Dogdayzz is the best Dog Sim game. Come join today! Need to get in touch? We are here to help, so let's talk.